To upgrade their community hub facilities and café, purchase new equipment for the café, gallery and events space to maximise profits, which will help them scale up their social impact and deliver necessary community activities. 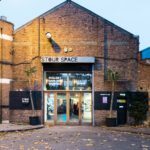 Stour Space was created by local residents in 2009 as a response to the lack of facilities and infrastructure on Fish Island in Hackney Wick, enabling local residents and businesses to thrive and connect. Stour Space aims to enable more local residents to be a part of regeneration and political decision-making processes, and provide affordable workspaces and employment opportunities. 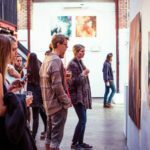 Local people’s actions resulted in a multi-functional venue providing affordable workspace, community campaigns, health projects, art gallery and employment. All these activities create long standing value for its locality. Stour Space, is a community business based in Fish Island, Hackney Wick. Bordered by two canals and a dual carriageway, the ‘Island’ is home to over 5000 artists who live/work in many of the warehouses, as well as boaters and some of the oldest manufacturing businesses in the country. However, due to its tricky location, the council struggled to invest in basic infrastructure such as a rain line or bus access, lighting on canal paths or bins. But in 2009, 10 local residents including artists, business owners and boaters came together and founded Stour Space, with the aim of improving the lack of local facilities and infrastructure for everyone. 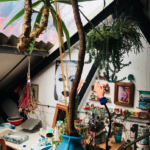 They identified a disused building and with only £1,500 in donations, local residents took action and rented the disused building to create a community space. The space was refurbished using donated materials/equipment by community volunteers and has never relied on grant funding. Today, Stour Space is a multi-functional venue, generating income from studio/events space and café trade, with profits going towards vital community activities such as health workshops, campaigning, employment and affordable workspace. The Café also hosts a weekly ‘pay what you can afford’ night. It is currently the only public building in the area, often referred to as the “Town Hall” of Hackney Wick. Power to Change awarded Stour Space a grant of £144,300 through our Community Business Fund to upgrade their community hub facilities and café, and purchase new equipment for the café, gallery and events space to maximise profits, which will help them continue to scale up their social impact and deliver necessary community space activities. Recently developers have built several new build flats which has attracted new affluent residents to the area. However, it is still home to those living on the periphery of society due to poverty who pay cheaper rent in the old warehouses. There is a delicate balance of interests in the local community, with many feeling left behind with the regeneration. Stour Space sees itself as a mediator and space to bring people together, creating a stronger local culture of mutual respect and collaboration. Stour Space are aiming for their café to employ over 50 local people, including artists who often need to subsidise their income and those who are homeless. They also want Hackney Wick to become the first Creative Enterprise Zone to save warehouses from demolition, and create more affordable living and working spaces for makers. On top of this, they provide accessible and affordable classes and health workshops for local people. Stour Space has nearly 1000 members. Membership is free for local residents and with it comes an equal vote in decisions about the running of the organisation. Each member can also attend one of the subcommittees around artist/makers, campaigning, residential and business, or boaters to have their say in the direction of Stour Space.